If you watched Tuesday night's Presidential debate and were able to look past the highlights (or lowlights) of Governor Romney's "binders full of women" comment and President Obama's indignant denial that his administration politicized its various explanations of the Sept. 11 terrorist attack in Libya, you may have noticed the President say of his opponent, "he's the one who wants to turn Medicare into a voucher." Obama's tone of voice clearly indicated to the audience that he felt this would be a bad thing. But what's so bad about a voucher? To many people, receiving a "voucher" means getting something for free, and having a choice about what that something is. In the District of Columbia, for example, low-income students have taken advantage of tuition vouchers to attend private schools that they otherwise would not have been able to afford. Many policymakers, including Romney, support transitioning Medicare from a "defined benefit" program (meaning that recipients are guaranteed benefits regardless of how much they cost) to a premium support program - essentially, a voucher for a specific dollar amount that could be used to pay for health insurance - by the year 2023. President Obama and others oppose the plan because they worry that the voucher wouldn't be enough to cover Medicare's premium costs, forcing seniors who want to keep their current benefits to pay more out of pocket or switch to a lower-cost plan with fewer benefits. Why? Health care costs vary widely across states, and even if premium support growth is indexed to general inflation (as Romney and running mate Paul Ryan have proposed), Medicare costs have grown faster than inflation for years. A recent study by researchers at the Kaiser Family Foundation seems to confirm these fears. Modeling from available Medicare cost data, and making a few assumptions about how premium support would work, the authors concluded that if a Medicare voucher system had been in place in 2010, about 4 in 10 seniors nationally would have felt no difference. 59 percent of U.S. seniors would have had to pay higher premiums, assuming they did not change their plans. There was huge state-by-state variation, however. In DC, for example, 99 percent of seniors would have been fine. But in states with especially high health care costs (e.g., Florida), the average difference between the voucher and the premium cost would have been more than $100 per month. The authors did not model how insurance companies would have responded to these hypothetical shortfalls; one could argue that if enough customers can't afford to buy the plan you're selling, you would need to make the plan more affordable somehow. They also didn't predict if premium support would keep pace with actual insurance costs over time; given the track record of the past few decades, however, it is likely that the value of the vouchers would shrink relative to premiums with every passing year. Alternatively, keeping Medicare viable in its current form would require some combination of tax hikes (not just on "millionaires and billionaires") or deep spending cuts elsewhere in the federal budget. It isn't only health care costs for seniors that are skyrocketing, of course - all health care costs are. So who pays the difference when employer-based health insurance premiums regularly outpace wage increases? Employees do, in the form of lower salaries. In a recent study in Family Medicine, my colleagues Richard Young and Jennifer DeVoe estimated just how much cash the average employed American family has lost due to health costs rising faster than inflation over the past 15 years. The answer: a whopping $8,410 per family, or nearly 14% of actual earnings. If this trend continues, the Affordable Care Act's laudable extension of insurance coverage to most Americans will be rapidly undone by unaffordable insurance costs for practically everyone. 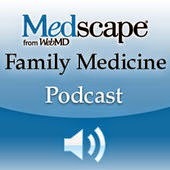 Family medicine has always thought of its physicians as being patient centered. Perhaps our patients would rather have more income and fewer marginally effective medical tests and treatments. Perhaps their health would improve less from having more screenings and scans but improve more from having more disposable income, less worry about losing their job, and less stress from living paycheck to paycheck. We should ask them. If they want to take advantage of this tradeoff, we should advocate for our patients to achieve this goal. Why don't comparative effectiveness studies change practice? Do these reasons sound about right to you? How do you think these obstacles could be overcome in order for front-line family and specialist physicians to rapidly incorporate the best scientific evidence into their practices? 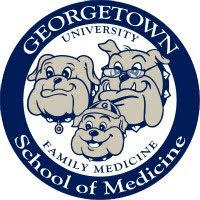 Dr. Laura Makaroff is the current Fellow in the Primary Care Health Policy Fellowship that I direct at Georgetown University's Department of Family Medicine and the author of the following post. Dr. Makaroff's patient gave permission for us to share her story on my blog. I had a usual Monday seeing patients at an inner-city federally qualified health center (FQHC). Fifteen of the 16 patients I saw had health insurance. Of the 15 who had health insurance, all had some form of public health insurance (Medicaid, DC Chartered, or Medicare) which is common and expected in a FQHC setting. All 15 of these patients had multiple medical problems and multiple life stressors – also common occurrences in our patient population. I worked hard taking histories, doing physical exams, prescribing medications, coordinating care, referring for additional services, filling out forms, and providing culturally-sensitive patient education for all of these patients (but didn’t get my notes done. Those will have to be done remotely because I ran out of time at the end of the day - also a common occurrence on days spent on the front lines of patient care). All 15 of these patients left the clinic with at least some of their medical issues addressed and none of these patients were worried about going bankrupt because of their medical expenses. Certainly there are other issues they face, but bankruptcy due to medical costs is not one of them because they all qualify for public insurance. One of the 16 patients I saw is not covered by public insurance, and she is concerned about bankruptcy due to medical bills. This young, mid-twenties professional came to the clinic yesterday to follow-up regarding a recent hospital stay for a pulmonary embolus. She went to the ER last week after collapsing while running. She was diagnosed with a large pulmonary embolus and is lucky to be alive today. She spent 2 days in the ICU with close monitoring and anticoagulation (blood thinning medication). She was then transferred to the general medical floor for more monitoring. She was discharged with appropriate bridging therapy for her anticoagulation and was told to follow up with a primary care physician. So there she was, in tears, trying to be thankful for her life but burdened by the thought of the bills that are coming her way. She is facing tens of thousands of dollars of medical bills, if not hundreds of thousands of dollars. She makes too much money as an English-language interpreter to qualify for public insurance. She is not a candidate for the newly-approved high risk insurance pool due to her recent catastrophic coverage (she had been so afraid of a “catastrophic” event that she carried a short-term, non-renewable catastrophic health insurance plan that happened to expire one week prior to her hospital admission.) She has not been able to obtain individual insurance because of pre-existing conditions which include a high body mass index and a previous diagnosis of sleep apnea. She received yet another health insurance denial while she was hospitalized. The insurance applications missed the fact that she has been actively working on lifestyle changes (including running on a regular basis) and has lost 60 pounds in the last year. If there is a fortunate part of this story, it is that she lives in a metropolitan area where she has access to primary care at a community health center that receives funding in order to provide services to all. Some might say that she should have not been so “risky” with her self-employment and instead “played it safe” by seeking a large employer in order to be a part of a larger risk pool. That might be the best answer for her future, but that is hardly a solution to the real problem. In addition, what ever happened to the American Dream of life, liberty, and the pursuit of happiness? Shouldn’t this patient be allowed to follow her dream of helping people with language interpretation services and be a positive contributor to society? What about the importance of individualism that is so much a part of American culture? This patient got the care she needed and fortunately was able to stop her most expensive medication based on her recent lab results. She is able to follow up with me for necessary, repeat blood testing, but she will likely face decisions in the future that force her to decide between incurring more medical bills or getting the health care she needs. This patient may have been an exception in my patient population on this day, but she is not an exception in the greater U.S., where high medical bills account for 60% of bankruptcies. Modern medicine can keep this patient alive, maintain her safely on necessary anticoagulation, and even look for unusual genetic disorders that may have predisposed her to having a blood clot in her lungs in the first place. The modern health care system cannot claim the same successes, and may actually do exactly what physicians vow not to: cause harm by creating insurmountable bills and a lifetime of interrupted access to care due to health insurance challenges. The spiritual assessment: unnecessary or essential? The range of comments received thus far reflects family physicians' diversity of views on this topic. For example, while one reader opined that spiritual concerns have "little to do with improving the health of our patients," another countered, "I do not think this article goes far enough in promoting this type of spiritual health assessment." Another reader argued that the spiritual assessment should "not be elevated to the status of another vital sign we must always take." Some readers expressed concerns that physicians might seek to impose their religious beliefs on vulnerable patients, while another suggested that "many physicians seem to have more fear of [discussing] spiritual issues than the patients do." How important is it to perform a spiritual assessment in primary care? Is it essential, unnecessary, or somewhere in between? As a patient, do you think speaking with your physician about your religious or spiritual beliefs could be helpful for your health? I'd love to hear your thoughts. A version of the above post was first published on the AFP Community Blog. The incongruous spectacle of Cowboys and Bears players on ESPN's Monday Night Football sporting pink jersey patches and pink shoes in honor of National Breast Cancer Awareness Month prompted me to revisit (and slightly revise and update) the following piece, originally posted in January 2010. The American Cancer Society designated this weekend "Suits and Sneakers Awareness Weekend" as part of its annual Coaches vs. Cancer program that featured well-dressed basketball coaches wearing "sneakers instead of dress shoes with their usual game attire during weekend games to demonstrate their support for the Society and the fight against cancer." The idea is to encourage people to exercise and eat a healthy diet to reduce their risk of cancer. Of all of the ACS's cancer prevention initiatives, this is probably one of the best. I'm suspicious of other "cancer awareness" efforts, though - in particular, the increasing fad of designating particular months or weeks of the year as times for heightened awareness of individual cancer types. 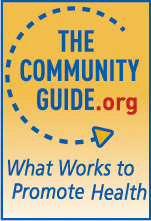 According to the 2012 ACS calendar, the fall months are particularly crowded: September was for ovarian cancer, childhood cancer, leukemia and lymphoma, thyroid cancer, and prostate cancer Month; October is for breast cancer (with "National Mammography Day" coming up on the 19th); and November is for lung and pancreatic cancer. January 2010 saw Facebook virtually consumed for a few days by a "breast cancer awareness campaign" with female users posting the colors of their bras in status updates. While advocacy groups denied any involvement in this apparently spontaneous campaign, they also professed to be pleased with the attention that breast cancer was getting. Yet I wonder if breast cancer really needs any extra attention when a few years ago the release of painstakingly crafted recommendations to individualize mammography decisions for women in their 40s caused weeks of public furor and threatened to derail health reform legislation over the make-believe issue of "rationing." And from a public health standpoint, focusing on this single cancer to the exclusion of all other threats to women's health makes little sense. Among the causes of death in women, breast cancer doesn't even make the top five. It ranks 7th overall, and according to statistics from the Centers for Disease Control and Prevention, it isn't even the number one cancer cause of death. (That would be lung cancer, by a nearly two to one margin.) Even if breast cancer is detected and appropriately treated, there is scientific consensus that up to 1 in 3 women receiving treatment gain nothing from it, because the cancer was either slow growing or the patient was destined to die of some other cause (such as a heart attack or stroke) before the cancer would have caused any symptoms. Finally, well-intentioned cancer awareness efforts can backfire by encouraging unnecessary or unproven screening for cancers. During the Facebook campaign, I was dismayed to see some of my friends discussing how a similar strategy might be used to persuade men to get testicular and prostate screenings (brief or boxer color?) or women to get checked for ovarian cancer (you've got me on that one). Unfortunately, there is no consistent evidence that detecting any of these cancers with existing tests saves lives (ovarian cancer screening, in fact, has been proven to cause net harm), and doing so can and does lead to emotional or physical damage from false positive tests. I'm all for cancer awareness when the goal is to reduce the risk of developing cancer, or to deploy proven screening tests for early-stage cancers in age and risk groups that are supported by good scientific evidence. But naive "awareness" - that is, high doses of enthusiasm combined with misinformation - may actually hurt as many people as it helps.